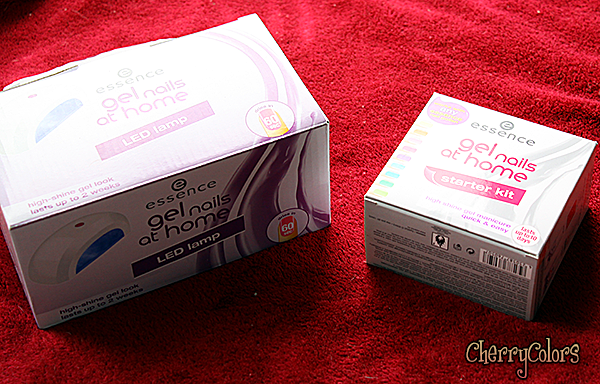 Essence gel nails at home kit + LED lamp - Cherry Colors - Cosmetics Heaven! Last time I went past the Essence shelf I couldn't believe my eyes. 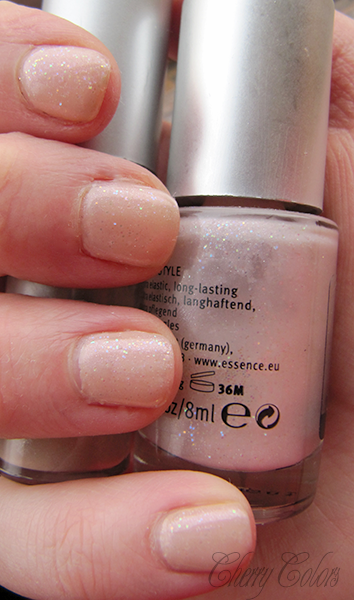 I saw... the Essence gel nails at home kit + LED lamps! So.. I couldn't say NO. How could I?! I was dreaming of owning an UV lamp for ages. I mean, ages! I wanted to dry my manicures with it, no matter if it is the gel ones or not..
the perfect high shine gel manicure - quick and easy at home! easy off - simply peel off! 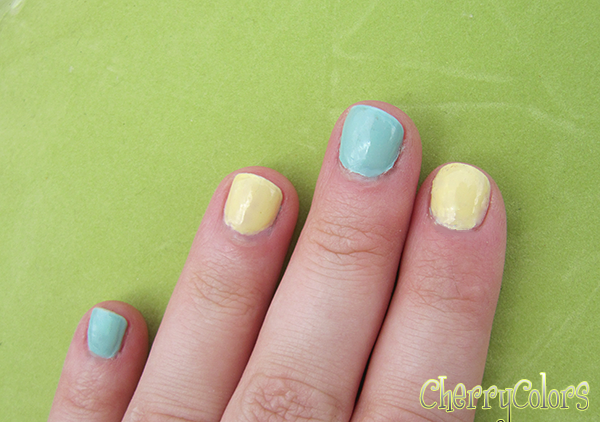 You prep your nails (I skipped this step because I didn't have my cuticle remover cream + orange sticks with me, bleh!). Clean them with the cleanser. 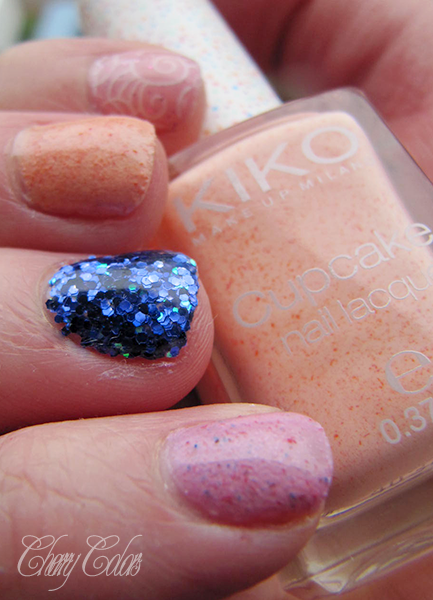 Apply the base coat (pinkish bottle) - I managed to fck it and used the top coat instead, aaa! I did two manicures. The first time I used waaaaay too thick coats of everything. Seriously! At the end my nails looked like teardrops! D: I teared it apart (but finished removing it with nail polish remover) and did another manicure a couple of hours later when baby was asleep. The second time it came out so much better - I used extra thin layers. I suggest you first do one hand and then the second one. I am currently on day 5 of my manicure and it looks like the first day. 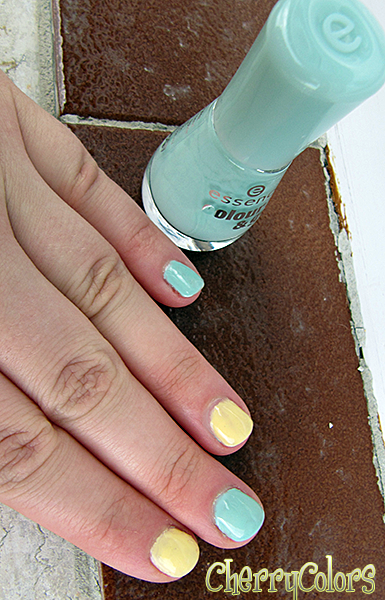 This manicure lasted me for 7 days, and then I got bored of it. I took it off without a problem! Try to ignore the cuticles, if you can. 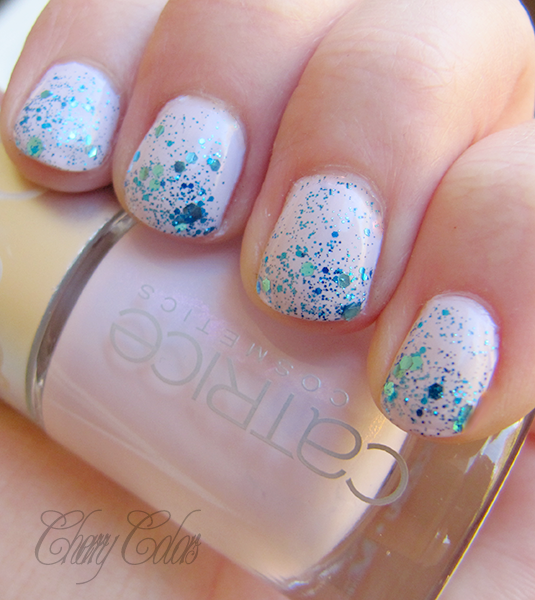 Be extra careful when you are applying the base & top coat. When it dries it is hard as a rock. If you glue your cuticles to it... well too bad. I filled down some parts where it dried where it shouldn't. It worked, yes... but damn it was annoying! 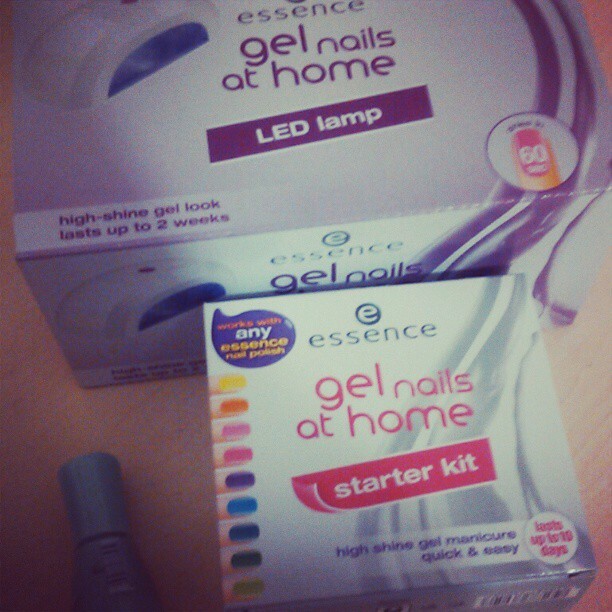 + gel nails at home! 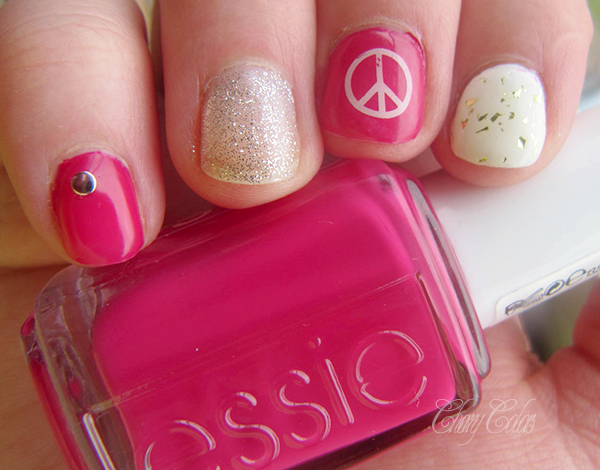 + can use any nail polish! - the colored polish (or whatever regular polish you're using with it) needs to be DRY before you finish the gel manicure! I love it. Really! I am hoping that because of it I can wear lovely manicures up to 10 days. No chipping and all that stuff. It takes some time to get used to it, and the most crucial part is the waiting period. You need to have completely dy nails (nail polish) before finishing with the gel top coat. If done correctly it comes out THIN and lovely! The first 5 attempts I did were crappy. It is a lot to learn to perfect it and get the super thin and even application. But once you master it, there is no turning back! And I love that I can cure my regular nail polish under the lamp. EDIT: Since this is the most popular post on my blog, I'd like to add that this kind of a manicure takes a bit of a learning curve to get it perfect. You can see from the images below, that it took me a while to perfect them. 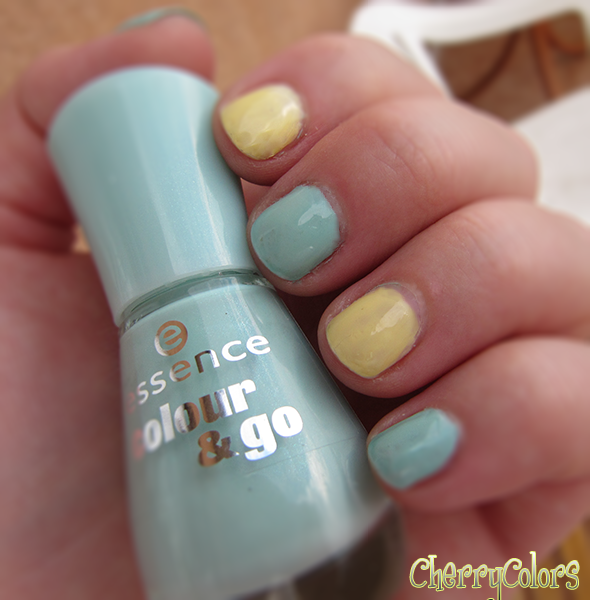 EDIT 2: It's been a while since I used the Essence gel peel off base and top coat. I prefer using other gelish systems for a longer lasting manicure. But I do sometimes combine those with the Essence top coat and do always use the Essence preparation system (cleanser, primer). I still think this was a great investment and I like the new formulas (thinner application is possible now!). I realized that peeling off anything off my nails, may harm them. As in they get thinner and more brittle. So when you are removing it - always use some sort of oil to lessen the damage! Now that I've tried a bunch of other gel systems I am not happy with this one. The french gel is the only one I am still using (and sometimes the top coats). The thing that I am not happy with is the formula that goes on thick and shrinks like mad. It is good for beginners, but then again.. not that good. I reccomend a nice Depend gelish system (cured for 60 seconds instead of 30) because it makes less damage with a propper removal, than these. And it is way easier to use. So that's that. 1. 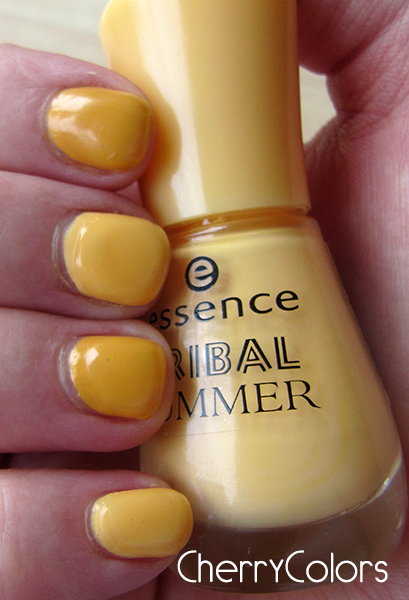 If your nails are brittle and layering, apply some base coat before starting the manicure. 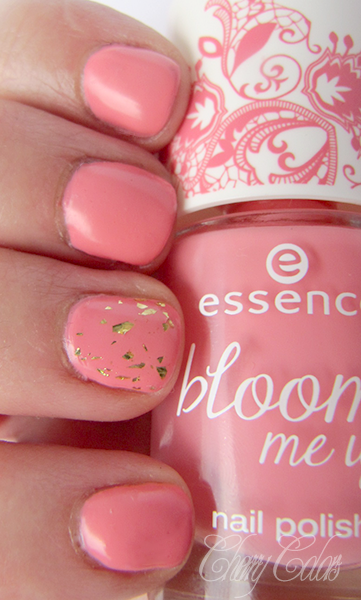 It will give the polish something to adhere to (since this tyle of polish is made for healthy nails). 2. After application of the base or top coat, wait for a minute or two before curing it under the light. This way you can fix the spills (because it will spill). 3. The manicure must be completely dry before finishing it off with the top coat. If it's not, you will get holes in your top coat! 4. 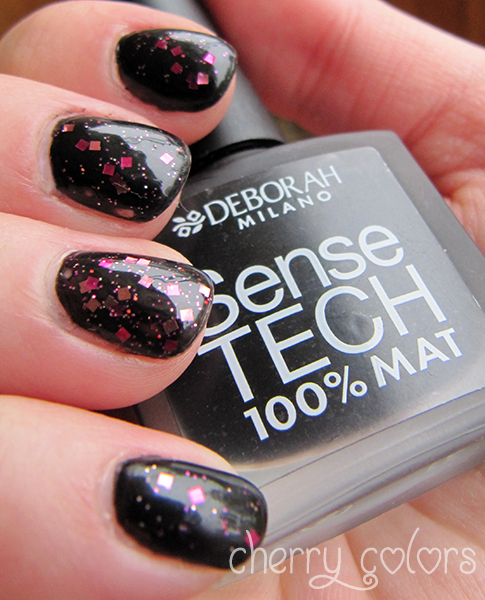 You can play with rhinestones, glitter, stamping polishes, etc.. everything works with it! 5. It works with any brand of nail polish. 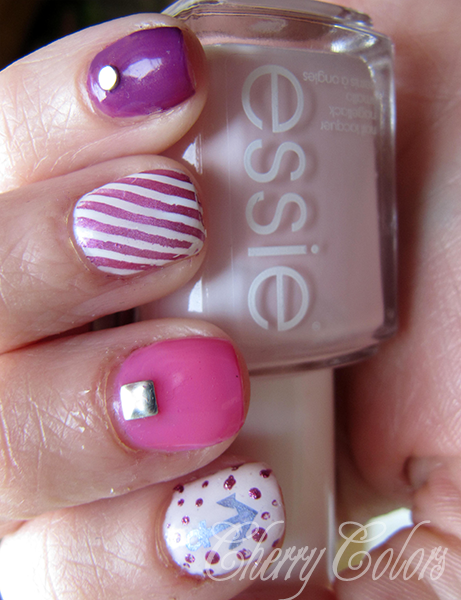 Here is another manicure done with this set, a week later. You can read more about it here. Geez, how thick it is! 3rd try! 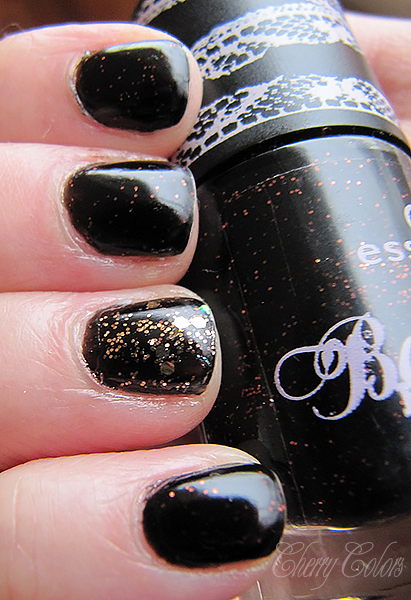 Black with glitter. You can read more here.